What the hell does that even mean? When did our moms become the benchmark for the tech illiterate? OK, we’ll admit. Our mothers and generations before aren’t necessarily as tech savvy as we are but that doesn’t give us carte blanche to make sweeping generalizations. Can your Dad partition a hard drive? Hell, I find myself being a mom and I can! Can your Uncle install his own operating system? No? My mother-in-law can! Let’s avoid reducing mom to a caricature of some techno-illiterate luddite or digital damsel in distress just so you can SAY how easy your UI is. Why not just SHOW us some of its usability credentials? Instead, highlight the solutions that your app or products have created for your users. 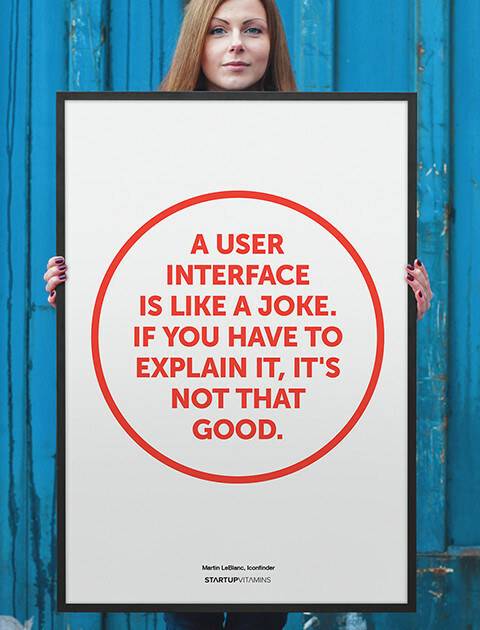 If your UI is really that easy to use then you wouldn’t need to point it out. Mom is more influential online than you think. Moms and women in general are way more influential online than you can possibly imagine. Here’s some important stats according to a Nielsen Social Media Report from 2016. A whopping 61% of unique Facebook users who are interacting with TV-related content on Facebook are female Gen-X-ers (35-50). Pinterest belongs to the ladies. Especially with a large range of women between the ages of 30 – 64! In fact, according to a 2016 Pew Research study, of all adults online in the U.S., 45 percent of women use Pinterest compared to only 17 percent of men. Some would go as far to say that Pinterest largely owes their success to this demographic. Not every portrayal of mothers and women doing geeky or technical things online have this issue. It’s only a problem when combined with language or imagery that invites you to consider yourself smarter/more technically savvy than the woman portrayed, especially when they are invited to do so simply on the basis that she’s a woman/mother or senior. In short, let’s all just leave this worn out diatribe behind us be more cognizant of how we portray our users and do a better job of portraying our products. Together we can move forward with respect to all users, coders, geeks, techies and nerds regardless of gender. We’re here to help and we promise we won’t be mean to your mom about her technical prowess. Give Radcliffe & Co. a call or send us a message and let’s work together. One more thing. Hi Mom! Analytics: If you're not measuring it, you're not managing it.